All San Francisco restaurants on a map, color-coded to reveal the grade provided by the health department. (Green is good; red is bad.) 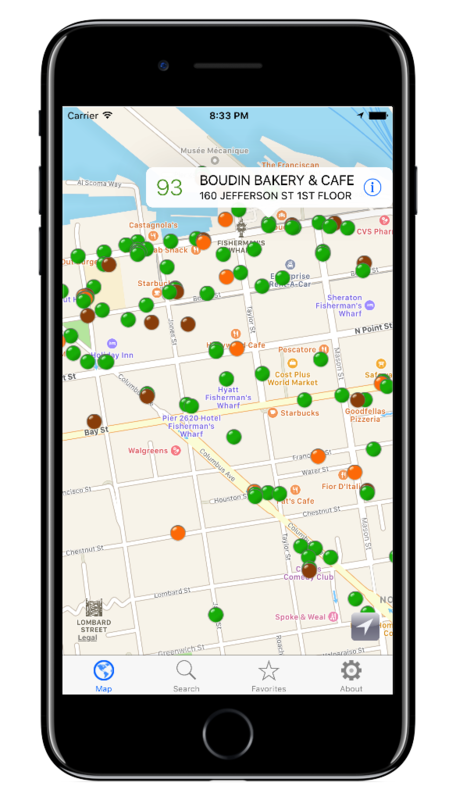 Use your current location to see a map of the immediate area or search for your favorite place. Click through to read a history of its inspections and health violations, then decide to skip dinner, maybe. Fastest restaurant inspection, all info on your device, no Internet access needed. Constant updates available. All restaurant information provided by the San Francisco Department of Public Health.